Be a part of the largest woman's patriotic service organization. With nearly 1 million members devoted to American veterans, young people and communities. 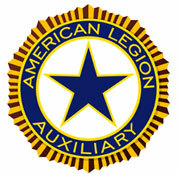 Visit our National website www.legion-aux.org for detailed information. Your local contact for Unit #96 in West Hartford, CT is Jeanne Berry 203-715-2336 jeanneberry@comcast.net.